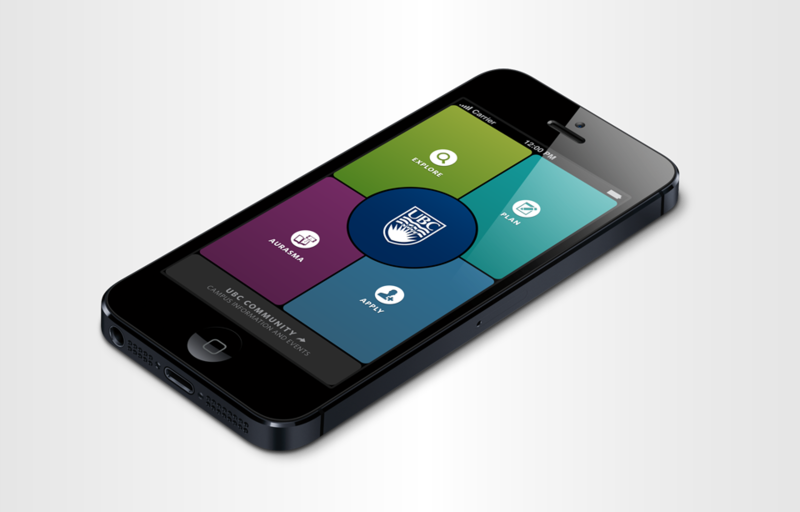 An app that helps prospective students discover the University of British Columbia campuses. 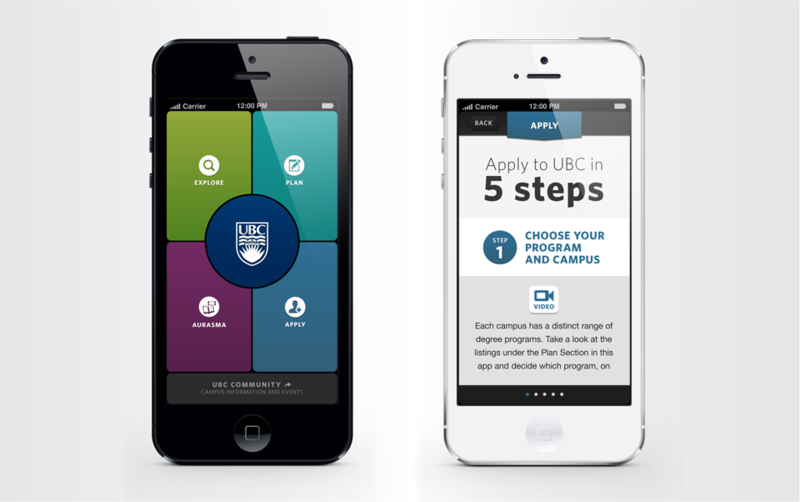 UBC required a fun and engaging app that shows prospective students the quality of life at UBC's two campuses, and to educate on offerings and application processes. Social media hooks were requested to connect the current and prospective students. The result was a stylish guide to UBC's Vancouver and Kelowna campuses. 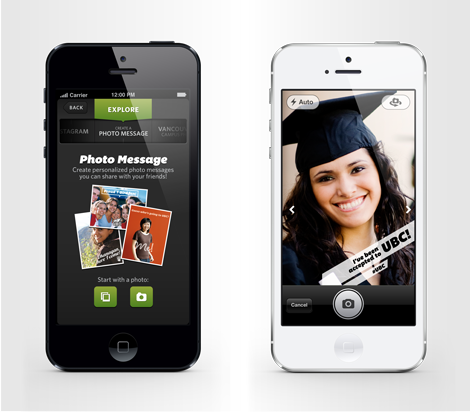 The app lets you create and share photos, connect to Instagram, plan and apply to courses. 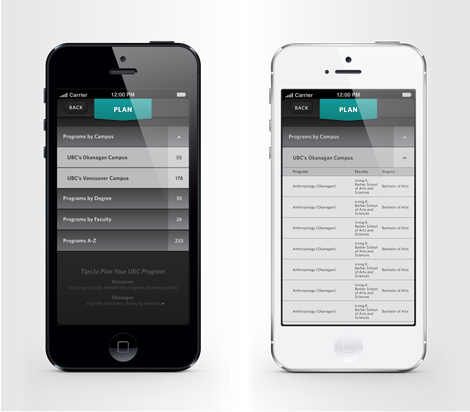 Paired with the app, traditional brochure media comes alive with interactive content.